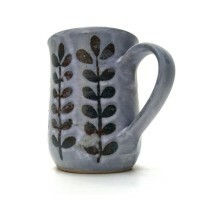 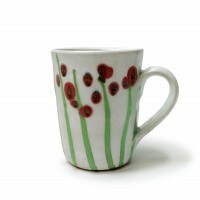 Mug with Poppy decoration, on a white ground. 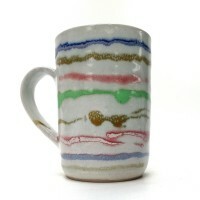 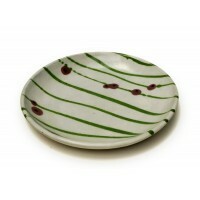 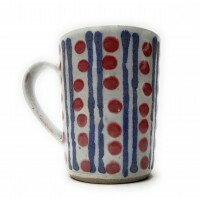 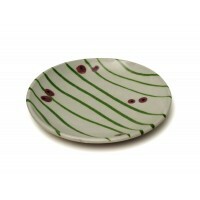 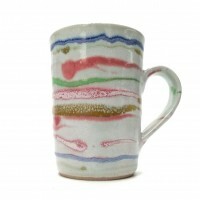 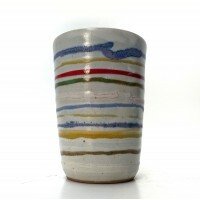 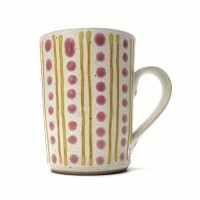 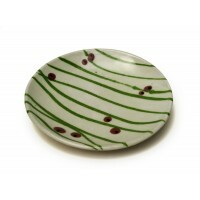 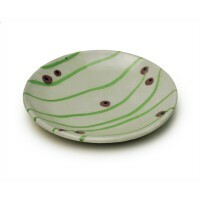 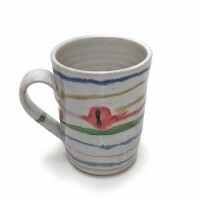 Hand thrown mugs with bright floral decoration in green and red applied with glaze trailers. 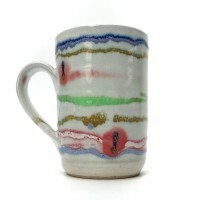 Each one is unique.